In the Tuatha Dhe Danaan the working Tools are a bit different than in the Wicca,a few are the same but the Meaning and influence are different..The Elements aligned with the Four Faerie cities and the attribution a and ruling factions are the principals in working with the Magick of the Tuatha. In the realm of Gorias and the Elements of Wind and Earth and Wisdom,its the Glaive or the Sword of Light that is the Manifest of the Element.The Sword in the Stone.and its Ritual meaning is the Blade that Banashes,Wards,Protects,Summons,Invokes.The Blade in times of Elder Ways was Obsidian then changed later to copper and nickle.Iron wasnt used as a blade by the Tuatha. In the realm of Finias,of South and Fires and Illumination,Deep within the Cauldron is Placed theTip of the Spear of Lugh.His might of the Sun and His Power Fills the Glowing Spear that never misses its mark,This is the Might of Finias and the Twin Trees that are aflame guarding the Threshold with the Spear of Illumination and the Lustrous Plough of the Earth with Fire. The Power of the Dagda and the Cauldron the Undry is in the West position and the Faerie City of Murias is the emination of His Power.The Flame that is Luminous is the Sea light and Mist fog of the Otherworld That fills the Cauldron with Life. The aspect of Stone and Egg hidden in the Faerie City of Falias,the Power that Screams undernieth the Monarchy that stands upon it.The Might of Earth and Egg stands as the Boundery of North and the UnderWorld of the Sidhe.Falias is the Power that brings forth mainifestation in to the Material plane.It is the Place where the Immrama or Sacred Journey begins again as the Spiral that returns us to the Great Goddess and Her awaiting desire for Her Hidden Children. Thus comes the entwining dance of the Crane and Dragon that unfolds the Spirit in the Sacred Labrynth that Holds the Secrets of the Tuatha and Sidhe safe from the world of mankind.ThePowers of the Four Poets (Wizards)Keeps the Faerie Cities Warded from those who would abuse their power and works still to bestow upon the Realms of Illuninated Being the Process of Seering and Tuatha . As all the roads of the Four Cities entwine tis the North and the Labyrinth that binds them tight to the Tuatha and the Physical Plane,Air,Fire,Water,Earth,and Spirit. 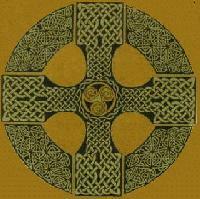 Remember that the Power of the Tuatha Dhe and the Picts came from the Labaron,the Celtic Cross,and its points of Direction,North,East,South,West,and the Center as Spirit.